U.S. Sen. Brian Schatz has an easy route to re-election. Oh, there are candidates who'd love to unseat him. They just struggle to get noticed. On paper, Makani Christensen, who’s seeking his first term in the U.S. Senate, has all the makings of an up-and-coming Hawaii politician. He’s a local guy, part-Hawaiian, born on Maui, who graduated from Kamehameha Schools before attending the U.S. Naval Academy in Annapolis, Maryland. Christensen, 36, served two tours of duty in Iraq and Afghanistan as a Marine. When he came home he launched his own tour guide company in Honolulu. He hopes to follow in the footsteps of former Hawaii Sens. Dan Inouye and Dan Akaka, who spent decades serving the people of the state in Washington, D.C.
Christensen has been campaigning on Oahu and the neighbor islands to lay out his platform and boost his name recognition. But Christensen knows he’s a long shot. 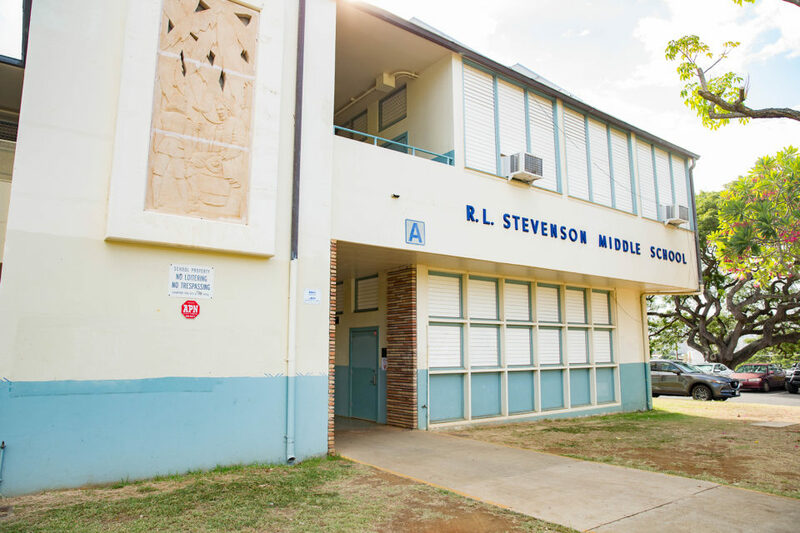 He’s facing off against incumbent U.S. Sen. Brian Schatz in the Aug. 13 Democratic primary. Schatz is the clear favorite against Christensen and a handful of other primary challengers who have yet to launch meaningful campaigns. The two challengers face a similar problem. How do they get taken seriously when no one else wants to give them a chance? Assuming he wins the primary, the senator doesn’t have much competition in November, either. John Carroll is the only serious Republican contender. But Carroll is a perennially unsuccessful candidate, who hasn’t held elected office in nearly 35 years. For all their differences, the two challengers face a similar problem: How do they get taken seriously when no one else gives them a chance? Christensen said he was convinced to run after seeing Hawaii struggle to get a handle on big issues such as homelessness and the high cost of living. But there’s also been a lack of federal leadership on local hot-button topics, he said, including the Thirty Meter Telescope on the Big Island and Honolulu’s $8.3 billion commuter rail project. In broad statements, Christensen has attacked Schatz as being a hands-off senator who does not have the best interests of Hawaii’s residents at heart. He criticized the senator for backing former Secretary of State Hillary Clinton for president before Hawaii’s March caucus. Vermont U.S. Sen. Bernie Sanders won the contest, and Christensen said Schatz should have pledged himself as a delegate accordingly. Christensen is a Sanders supporter. Makani Christensen has long been an ally of Hawaii’s fishing community, including the ocean longline industry. Christensen pointed to Schatz’s focus on tackling climate change — one of the senator’s keystone issues — as an example of his detachment from residents. While climate change and renewable energy are important to Hawaii, Christensen said, it’s important not to ignore the individuals who are struggling to make a living on the islands. Christensen describes himself as pro-business and said he wants to make it easier for small business owners, such as himself, to succeed. 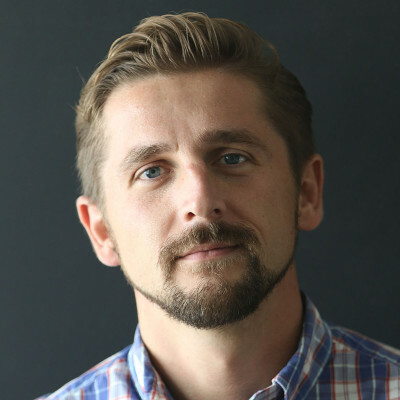 He said Schatz’s recent request to the Federal Trade Commission for a study of how much Airbnb, VRBO and other short-term housing rental services affect the availability of affordable rental units is an attack on people trying to earn a living. Schatz co-authored his request with Sens. Dianne Feinstein of California and Elizabeth Warren of Massachusetts. Christensen gets even more riled up about Schatz’s proposal to have President Barack Obama expand the Papahanaumokuakea National Marine Monument; it’s a clear point of contention between the candidates. Christensen said the monument expansion will limit how much fish, and specifically how many swordfish and tuna, Hawaii’s longline fleet can catch. He admits that he gets a lot of support from local fishermen who are opposed to Schatz’s proposal. Veterans issues are also important to Christensen. He said he would bring a unique voice to these concerns in the Senate and that he would strive to make Hawaii a flagship outpost for the veterans services. He noted that he would also be the delegation’s first Native Hawaiian since Akaka. Christensen talks a good game, although it’s often short on specifics. The lack of detail isn’t surprising given that Christensen is a newcomer to Hawaii politics. He’s never held elected office. University of Hawaii political science professor Colin Moore said Christensen’s lack of experience is his biggest challenge. It’s a major obstacle in a Democrat-dominated state where young politicians are expected to pay their dues by running for lower office and waiting their turn until the Democratic establishment gives its blessing. Moore said it’s especially hard to win endorsements from labor unions and other influential campaign donors unless candidates can prove that they have what it takes to win an election. At this point, he said it doesn’t appear Christensen has done that. Schatz has the advantage in both respects. He’s an incumbent in a state that has a history of electing its federal delegates for life and he has received major endorsements over the years from union groups such as the Hawaii Government Employees Association as well as from a number of his colleagues in the Senate. 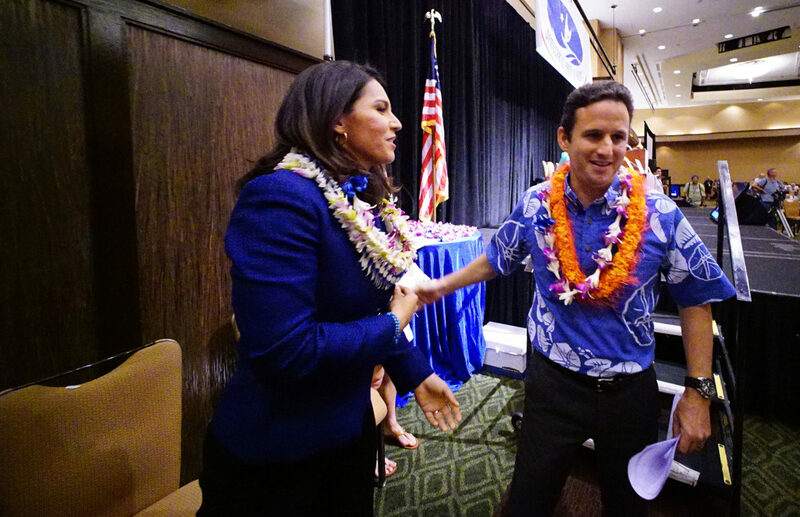 U.S. Rep. Tulsi Gabbard and U.S. Sen. Brian Schatz rose to political prominence relatively quickly by Hawaii standards. Hawaii’s senior senator also has a lot of money in the bank. He has more than $3 million in cash on hand, according to his most recent campaign spending filings with the Federal Election Commission. Christensen’s campaign finance reports have yet to be posted on the FEC website, despite a July 15 deadline to submit paperwork to the agency. He said Monday that he raised about $10,000 and spent $15,000, which includes $5,000 of his own money. Moore said Christensen and others might want to take a cue from U.S. Rep. Tulsi Gabbard, who elevated herself to Congress after a relatively short stint in local politics. Gabbard, 35, ran for an open seat in the U.S. House of Representatives when Mazie Hirono vacated the seat to run for the Senate. Gabbard beat former Honolulu Mayor Mufi Hannemann in a six-person race despite long odds before Election Day. Since then, she’s become one of the state’s most popular politicians, despite bucking the party line. She actively campaigned for Sanders over Clinton — who the rest of the delegation supported — and has openly criticized President Barack Obama for his approach to dealing with the Islamic State group. She’s expected by many to shed another Hawaii norm by running against Hirono in 2018 for her Senate seat. John Carroll, the top Republican challenger, faces his own set of problems, Moore said. Even though he’s held political office, Carroll still must contend with being a Republican in deep blue Hawaii. 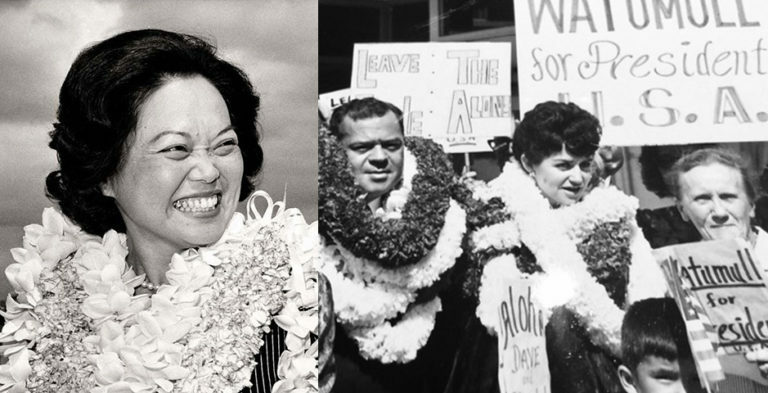 Carroll has a long history in Hawaii politics. He was in the state House of Representatives from 1970 to 1978. He then served two years in the state Senate before losing his bid for re-election in 1980. 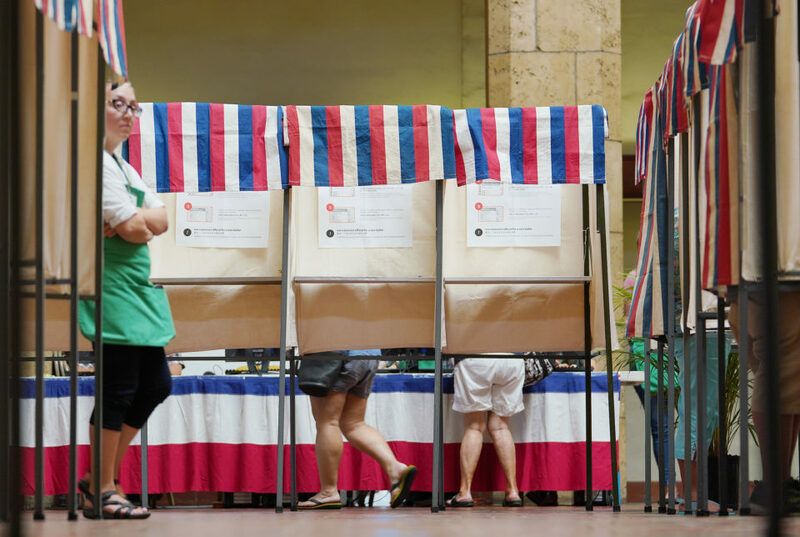 Since then Carroll, a Korean War veteran who now works as an attorney, has lost every political race he’s entered, including multiple attempts for Hawaii governor and U.S. Senate. In fact, it’s this legacy that often defines Carroll. Should Carroll beat Schatz in the general election — which is highly improbable — he would be an 87-year-old freshman senator with six years before his term is up. But Carroll says he’s in tip-top shape. Carroll has an unorthodox campaign platform for someone affiliated with the GOP. He supports legalizing marijuana, labeling genetically modified foods and adopting campaign finance reform to ensure that special interests can’t spend unlimited amounts of cash to influence elections. 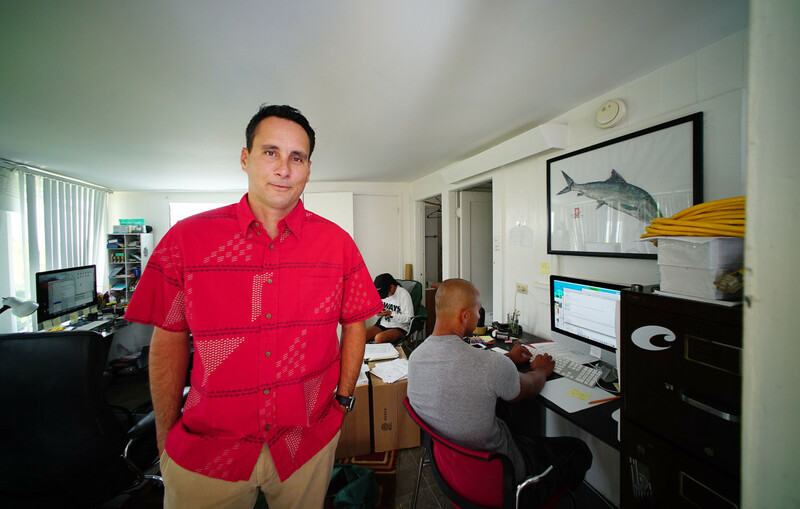 John Carroll, a Republican, has long struggled to gain traction in Hawaii politics. His top priority, however, is carving out exemptions in the Jones Act, a nearly 100-year-old maritime law that mandates that vessels transporting people or cargo between U.S. ports are U.S. flagged, crewed, owned and built. 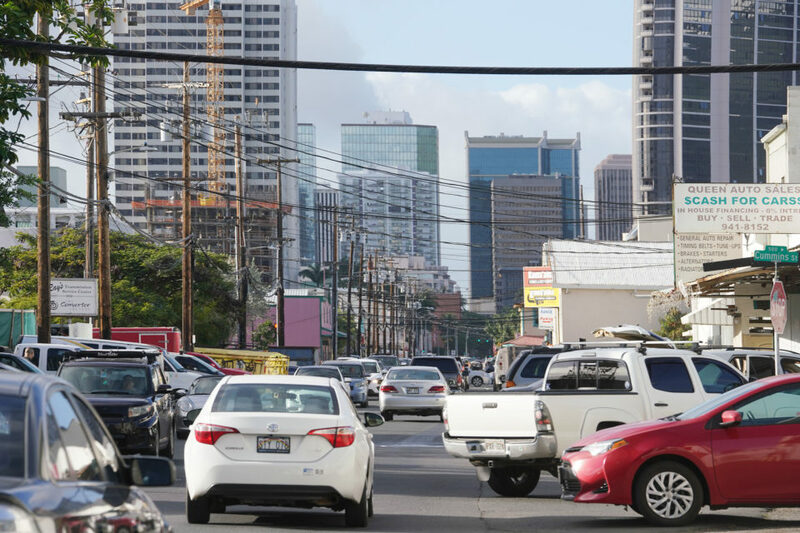 Such a requirement, Carroll said, means that foreign ships cannot offload goods directly in Hawaii, which drives up costs for residents who already face some of the highest prices in the nation. But what truly sets Carroll apart is his affection for Donald Trump, the Republican nominee for president. But Carroll admits he made a mistake. The more he listened to Trump, the more Carroll began to support his views, particularly as a businessman. He said Trump reminded him of former President Richard Nixon, who Carroll also idolizes. Carroll dismissed any notion that Trump is a racist or bigot — despite numerous public statements and policy stances that target minority groups — saying that he “mouths off a lot” and doesn’t really mean what he says. 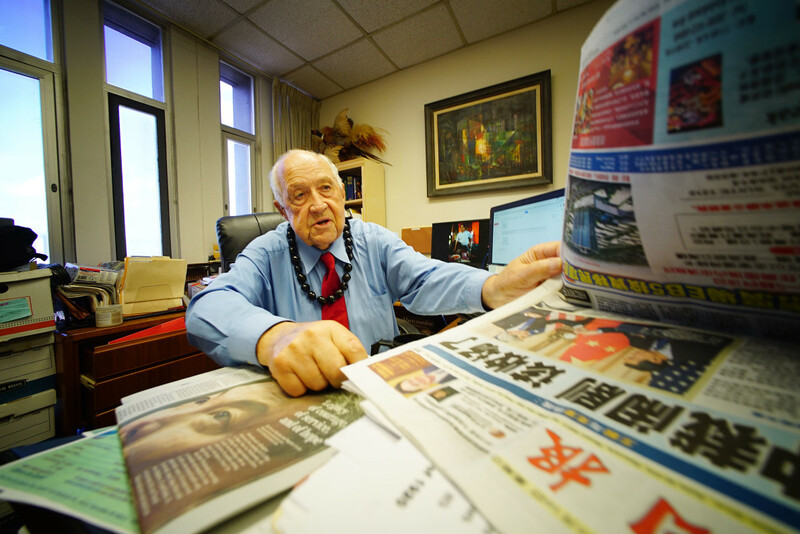 Carroll noted that his grandchildren are of many different ethnicities. Carroll said that, if elected, he would use his age and experience to his advantage by serving as a mentor to politicians in state and local government. But he also understands that this might be his last chance to win public office. His prospects aren’t good. And he knows it. He only wishes he had more of an opportunity to voice his ideas.